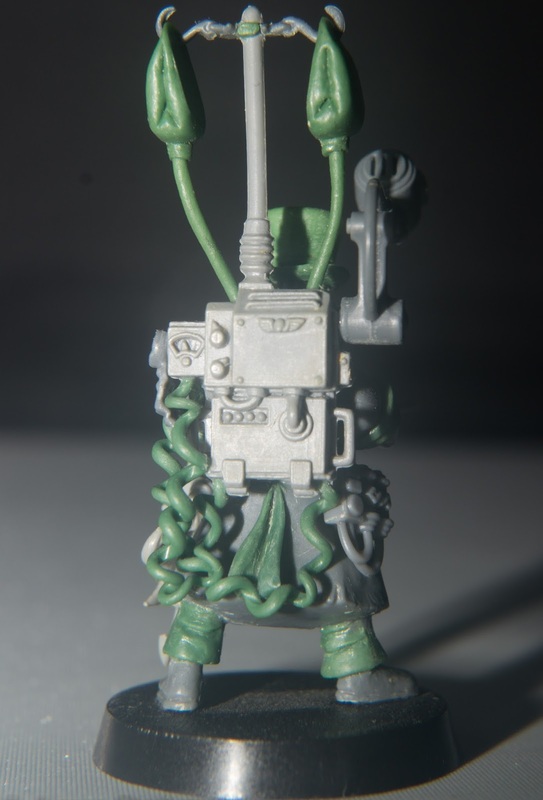 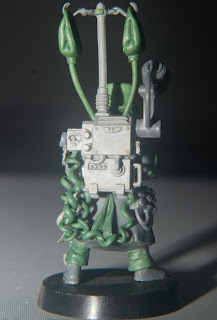 Greenstuff Gretchin: Rogue Trader - Ormond Sacker, Ship's Surgeon. 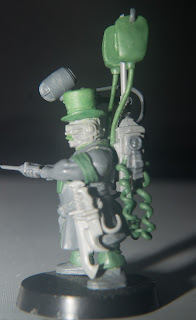 Ormond Sacker was actually created for a little bit of fun for a Sherlock Holmes themed warband back in 2013 (a project I never completed), but eventually Sacker was seconded to the Coelacanth crew as the ship's surgeon. Ormond Sacker was one of the few surviving veterans from the ill-fated campaign on Malwand V, having served as an experienced field medic with the 415th Imperial Yeomanry until the regiment was entirely disbanded due to excessive casualties. Having been forcibly retired from service, Sacker took the first position he could find; as ship's surgeon on board The Coelacanth. 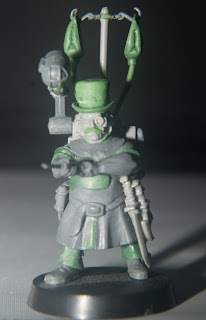 Hello :) I found your blog via my brother in hobby, JB. 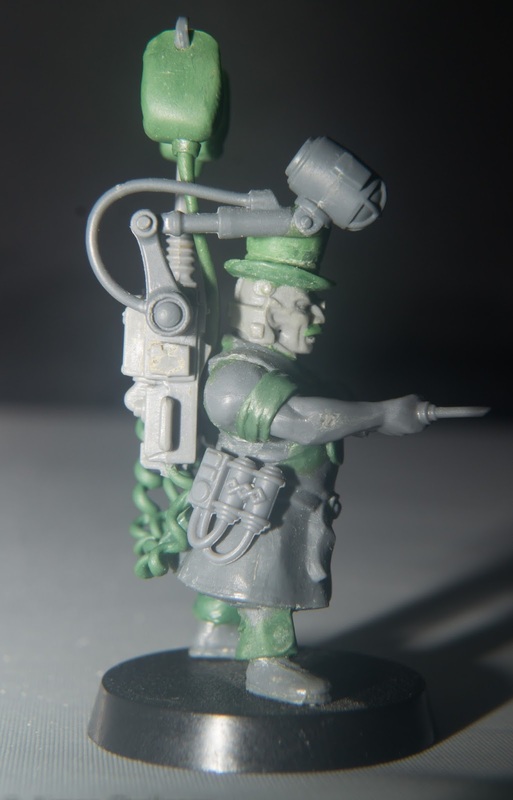 Your work is great, and quite inspiring.